Lemongrass is native to India and is often used in Indian cooking and medicine although in the past century it has been incorporated into Western herbalism and aromatherapy. It contains volatile oils, high amounts of silica and vitamins A and D. Lemongrass is sour, cooling and astringent. It combats heat and tightens tissues of the body. In particular, it acts on the connective tissue which has both structural and immune functions. In the connective tissue, immune cells react against external pathogens and lemongrass aids with draining lymphatic capillaries and vessels. 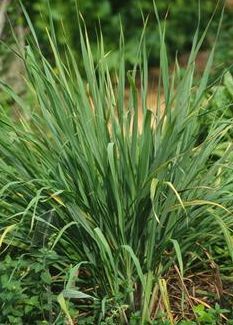 Lemongrass can be made into a tea or tincture of fresh or dry herb. Also makes a delicious glycerine. In this allergy season and time of changing weather, an immune-boosting broth is a great way to incorporate tons of healthy herbs and spices into one warming light meal for breakfast, lunch or dinner. The past week I’ve made many variations of this broth. The amounts of ingredients in this recipe are loose and up to you depending on how much you like certain flavors and heat. For a soup for one, I start with about 2 cups of water or broth to a boil (bone broth would be great here) in a saucepan. I add lemongrass, sauteed garlic and onion, a small amount of cayenne or jalapeno, astragalus root, dried shitake, fresh sliced ginger, peppercorns, cardamom and coriander and simmer for about twenty minutes. After I take the broth off the eat, I strain it and then stir in miso. As additions to the broth, I’ll add a poached egg, white rice and fresh cilantro, parsley or chives. For an extra immune and flavor boost to your rice add some lemongrass either fresh or dry and astragalus. root. Add both herbs at the beginning so that as the rice cooks their medicine can be infused into the water as it is absorbed by the rice. You can purchase tongue depressor like pieces of astragalus which are easy to remove after cooking if that is desired. Though you may also leave the lemongrass and astragalus in with the rice. Cautions/Contraindications: Cautions with first trimester pregnancy.